The Montessori approach to children acknowledges the Milestones of Development of a child and designs activities to stimulate each phase of growth towards independence. “Traumas, illness or wounds can hinder a child’s development. The child’s bad experiences are repressed and this repression of these unpleasant memories takes energy away from other activities. This will mean less energy for concentration. If any stage of development is left unfulfilled, the next step cannot be fulfilled. We cannot live for our children – we must allow them to do their own living! We must allow their wills to act on their own volition and not try to possess this developing will or crush it. Help the child to act for himself. Quote from Dr. Montessori in ‘The Secret of Childhood’ first published in 1915. We take babies from 3 months when mothers go back to work after maternity leave and we see them through crawling, walking, the toddler stage, toilet training and tantrums. At the end of this phase they enter the pre-school for 3 to 5-year-olds. This is a time of intense growth for a child. They go from helplessness and total dependence at birth to crawling, walking, eating, toilet training, frustrations and tantrums and general independence at age three. This is usually when the talking really starts. All the things they heard while struggling with their bodily functions, suddenly start being vocalised. When your child starts talking non-stop, it’s time to move to the next level. 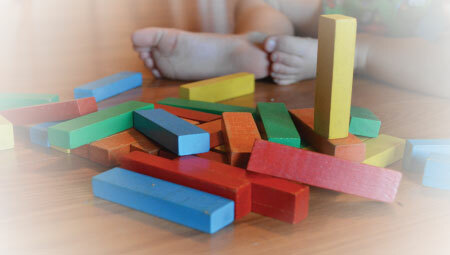 In the 3 to 5-year-old section children start perfecting their speech and learn colours, shapes and numbers. They become confident and independent. Their speech is clear, they feed themselves and take themselves to the toilet. They have an extensive vocabulary and absorb and repeat things from their environment very accurately. Through songs, games, worksheets, and specially designed activities they learn to hold a pencil correctly and start colouring in pictures with various colours. At this stage they are not yet able to colour between the lines as their fine motor skills are still developing. They sing songs about the alphabet and numbers, but do not have actual comprehension of the meanings. This is the area where parents sometimes mistake the child’s ability to recite from memory with actual knowledge. We take children in throughout the year. Since numbers in our classrooms are limited, parents are required to pay the first payment with the application forms to secure their child’s place. We cannot process an application form that does not include the fee. The fees are for the year’s service and are due whether the child is at school, on holiday or away due to other causes. Drop off : 06h30 to 08h00 a.m.